I grew up in Woodland Hills, CA where I attended El Camino Real High School. My twin brother and I were actively involved in competitive swimming from the time we were 11 years of age. Our years being involved in competitive sports helped us to understand the value of commitment, dedication, and hard work to obtain goals and objectives. After completing college with a business degree, I went into the private sector holding the positions of Controller and Chief Financial Officers for companies in sizes ranging from $35M to $100M. Eventually, I wanted to get back to what my passion was when I graduated which was real estate. In early 2003, I moved to La Quinta, CA. It was in La Quinta that I began my real estate. Yes, the summers are hot, but it is a dry heat and I had an amazing pool! I spent about 12 years in the desert and loved the desert lifestyle, but Maui was beckoning and I could not resist the call. Life on Maui is incredible! Beyond the obvious beauty, clean air, blue skies and vast Pacific ocean, it is full of life, history, culture and incredible people. 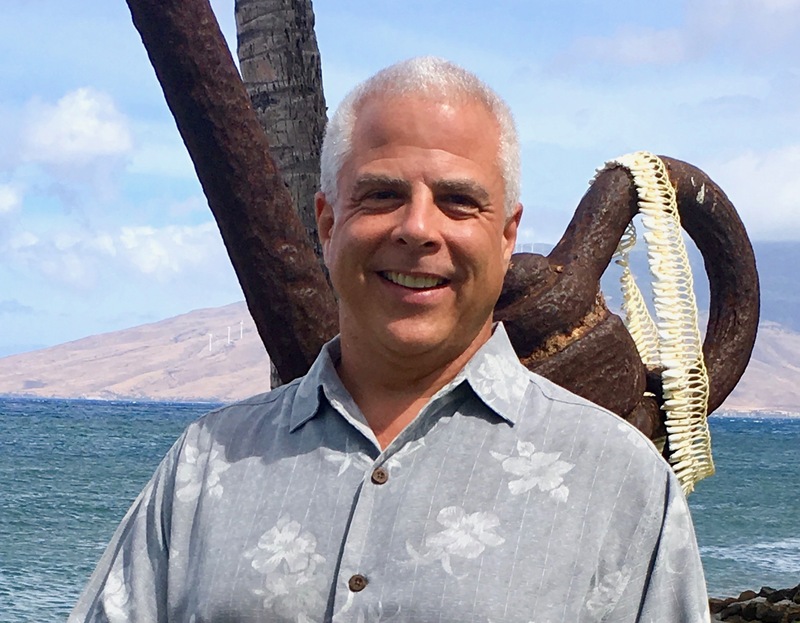 Aloha means a number of things in Hawaiian, but "love" is itʻs main essence and the Aloha Spirit makes living on Maui so much different and rewarding versus anywhere else. It is commonly said that "Maui Nō Ka ʻOi", meaning, "Maui is the Best"! There are lots of things to do on Maui, but most people come for the beauty and Aloha Spirit and in the process discover so much more. I hope to get a chance to meet you. I would welcome the opportunity to show you Maui and what makes it so special! Pacific Coast One-Stop/Tempo Records - Wholesale and retail music distribution. Core-Vent BioEngineering/Paragon Implant Company - Dental implant manufacturing and sales. RVL Packaging - Apparel labeling and security. Humanitarian Award, Palm Desert Board of REALTORS - In 2008, I was honored to received a Humanitarian Award for having donated a kidney to a fellow REALTOR.